Heres my 5 for January for some of my cat friends. Here are mine Made using a file from the Silhouette Store cut on my Cricut. Woohoo!! Ive done mine. 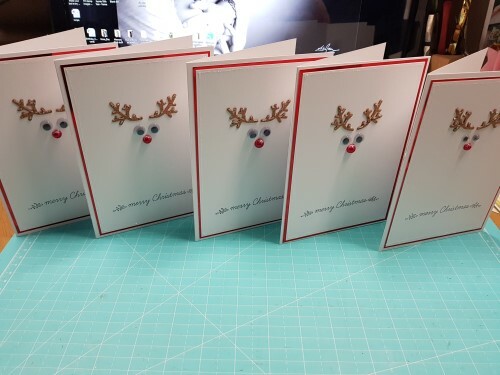 First time ever I have made Christmas cards in January - thanks for highlighting this challenge - I will mod my best to keep it going. These cards are fab ladies! I have yet to get around to uploading mine, I have a big note on my craft desk to do it first thing in the morning....we'll see !